Very informative information from Northern Ireland. 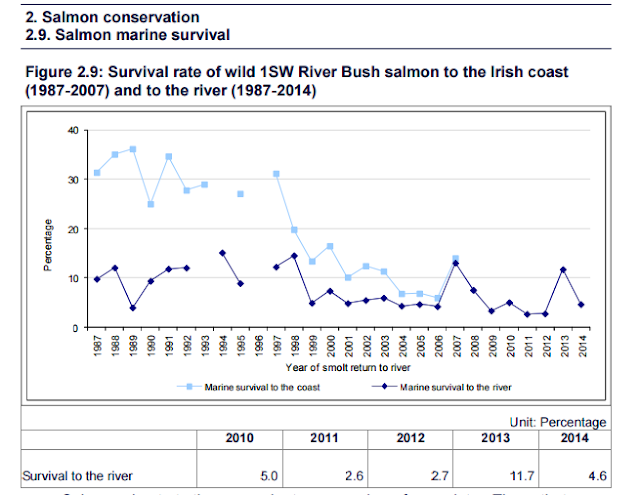 The salmon smolt productivity on the River Bush is interesting in that it fluctuates from year to year indicating juvenile mortality can be high in certain years. Please take the time to look at full report as it is important.